I have a new nephew! 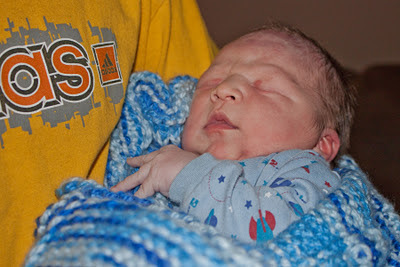 :D Reid Douglas was born yesterday afternoon. 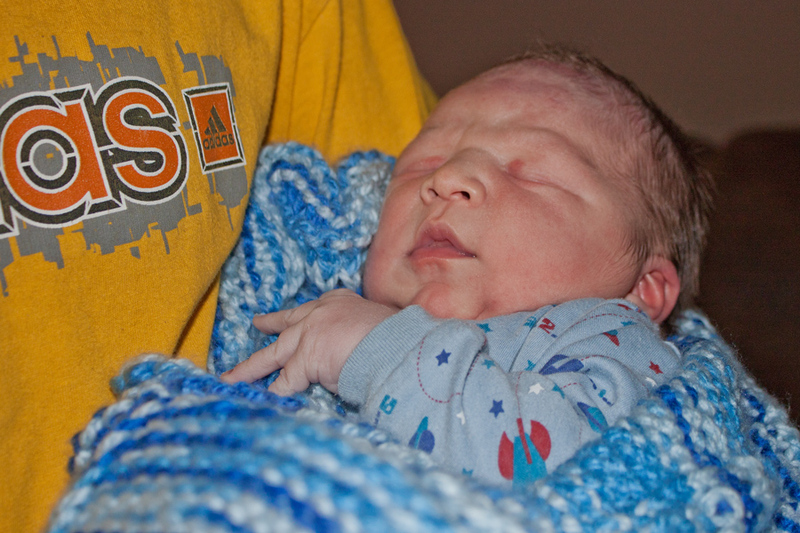 He was 9lbs 6ozs, and is a total chunky monkey. I got to snuggle him for a few minutes yesterday. There's nothing like newborn baby smell. I was contacted by My Memories a couple weeks ago, and was really intrigued. I don't do "normal" scrapbooking... it's just too fiddly for me. But a program that has all the cool scrapbooking stuff, but is digital? Sounded right up my alley. I've been trying it out, and it's really fun. My first few page attempts were really pathetic, because I don't quite know how to scrapbook... but I'm still playing with them. :) There's lots of inspiration in the gallery. Luckily for me, there's also pre-made pages that are easy to use. I've been playing with this program for a couple weeks, and I still haven't tried all the bells and whistles that come with it. I'm excited that this digital scrapbooking software will help me make cool photobooks! I've never actually put together a photobook, but you can bet I'm working on some now. ;) Can't wait! So, for you, my lucky readers, My Memories Suite is giving away one copy of their software! Giveaway ends Friday, Nov. 25 at midnight eastern time. Winner will be announced Saturday, Nov. 26th. So how do we enter the giveaway?? Pick MEEEEE.... I love scrapbooking! Ok. I did it all.... but the thingy is telling me to complete the mandatory entries first. So annoying. I liked it on Facebook, I recommended it on twitter, I followed Mymemoriessuite on twitter... and I am not able to make it work. I give up. The software looks very interesting!! Thanks for sharing. I didn't actually give up, and I WIN! YES! I will definitely use this software to create digital scrapbooks. I can't wait to try it!